The GPS expansion from Onion features a ublox neo GPS module, which allows seamless integration into your Omega projects. This Expansion outputs GPS data in the form of NMEA messages, which include all relevant information (latitude, longtitude, etc). We have prepared a package called ogps to handle the NMEA messages and offer up the relevant information to the user via ubus calls in the command-line. 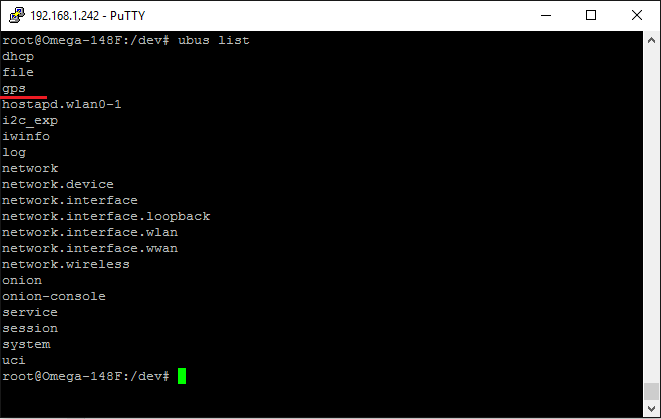 The device driver will already be installed and Linux should recognize the device automatically. To double check, run the following command. You should see a device called “ttyACM0”. This is our GPS expansion. 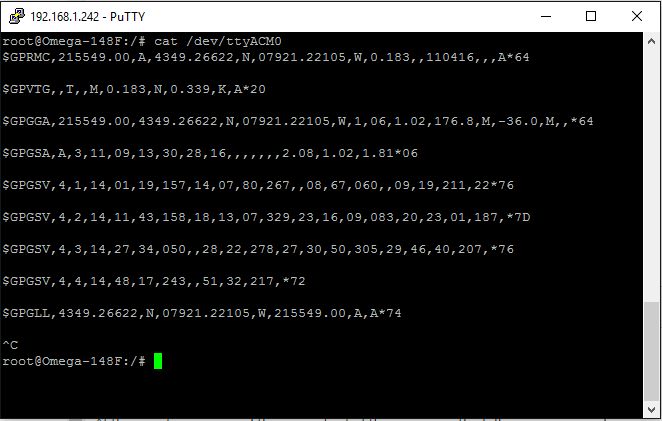 This is the NMEA output, and it’s quite hard to read. Luckily we’ve got a utility that will translate this data into useful information. 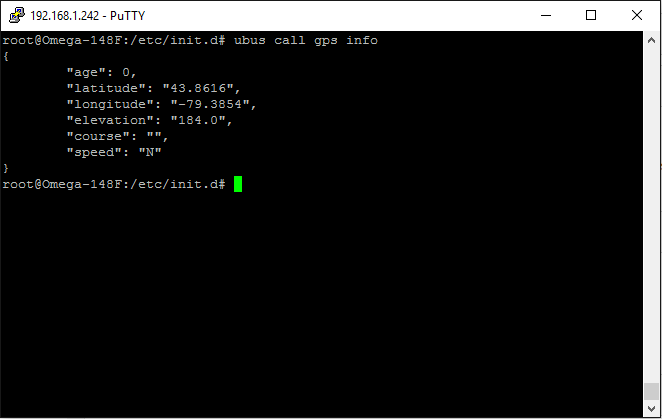 You can also use ogps to access relevant data offered up by the GPS via ubus calls. 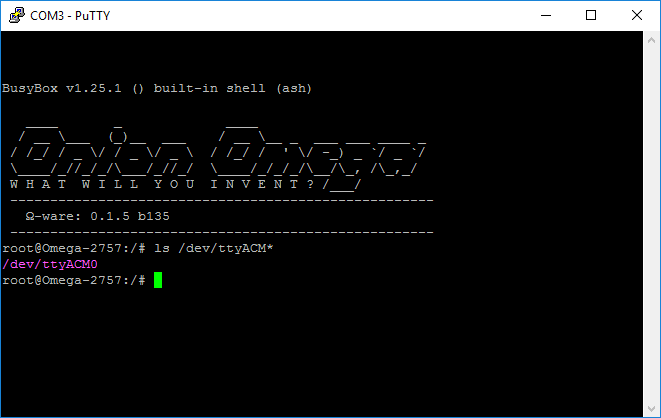 To install ogps enter the following commands. If the GPS is not locked, the command will return signal=false. In this case you may need to give the GPS more time to lock onto a satellite; try it again after 10 seconds. If this still doesn’t work, you will need to move to a more open area where the GPS Expansion can see more satellites. You may need to go outside in order to lock the GPS signal. Otherwise you should have an output that looks like this. Note: If you’ve used the GPS Expansion with the Omega1, you may remember some hardware stability issues regarding the GPS Expansion. This is no longer the case with the Omega2 and Omega2+.